Over the past months, a talented team of creatives have been working extremely hard to shine a well-deserved light on the hidden treasure that is Topsham. Marketeer Jo Berman, the graphic and web design team at D2 Creative, illustrator Aylwyn Bowen and Sarah Sherlock of Rare Pear have been working closely together giving their time and creative energy to produce a brand new ‘Love Topsham’ website and booklet. The new, responsive website is well worth a visit. Providing a wealth of knowledge about the picturesque town and all it has to offer. The ‘Love Topsham’ initiative was started by the late Geoff Bowen and in his honour his wife Anna and good friends Marc and Kim Millon and Liz Hodges spurred on the initiative to realise his vision. 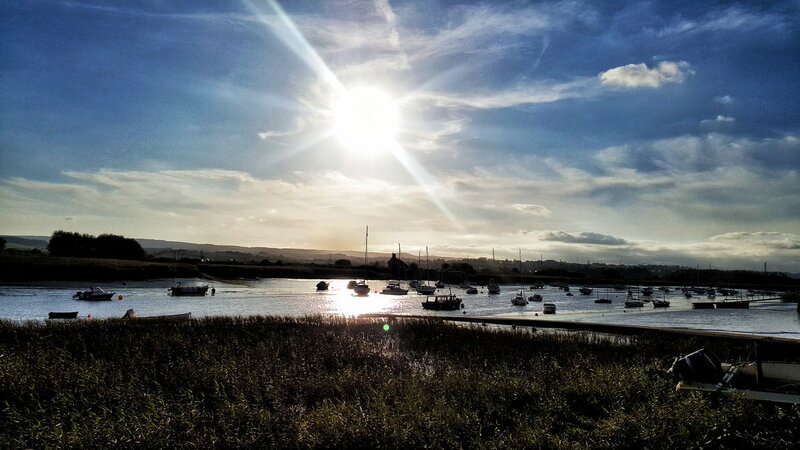 Food, wine and travel writer, Marc Millon writes, ‘The Love Topsham website is, quite simply, for everybody who loves Topsham, those of us who live here as well as those who come to visit (and sometimes choose to stay). Topsham is a very special place with a centuries-old history and a glorious maritime past, but also somewhere that is modern, vital and energetic, with a committed community that above all supports each other. The ‘Visit Topsham’ 20 page booklet, has been produced with the generous support of Visit Exeter and can be found at key pick up points in both Topsham and Exeter. A huge thanks to all those involved and for showing support in promoting Topsham.